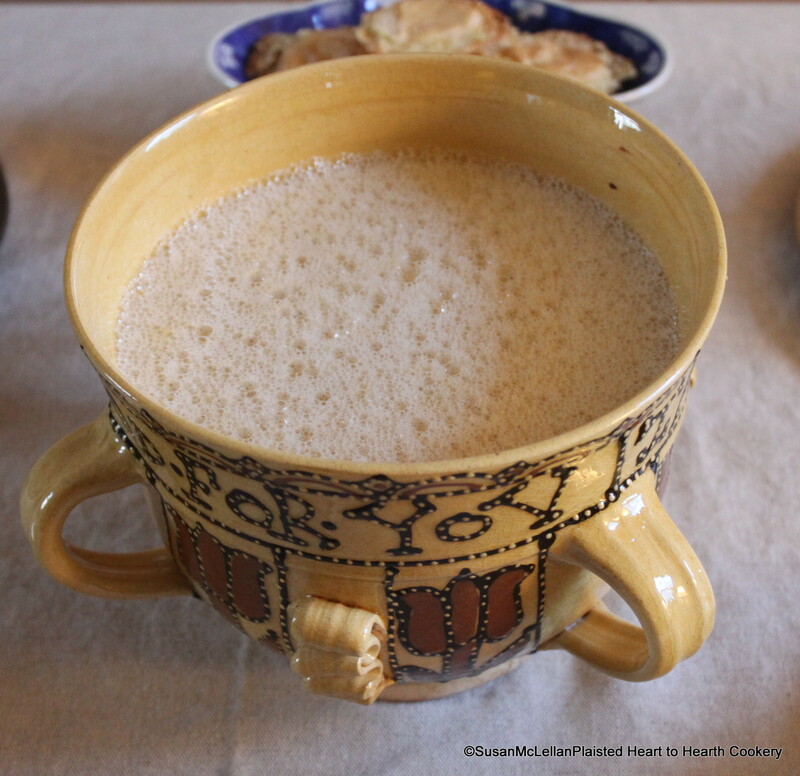 The reproduction that I chose to present My Lord of Carlisle’s Sack Posset (see previous posts) is a reproduction Staffordshire slipware vessel created from an original by Michelle Erickson. (See my Food History Source page.) This beautiful piece has the words The Gift is Small Good Will is All just below rim.